Researchers say that countries like the U.S. that have sent most of their plastic waste to Asia, must now confront how to dispose of it. PORTLAND – China’s decision to stop accepting plastic waste from other countries is causing plastic to stockpile around the globe, and wealthy countries must find a way to slow the accumulation of one of the most ubiquitous materials on the planet, a group of scientists said. The scientists sought to quantify the impact of the Chinese import ban on the worldwide trade in plastic waste, and found that other nations might need to find a home for more than 122 million tons of plastic by 2030. The ban went into effect Dec. 31, 2017, and the stockpiling trend figures to worsen, the scientists said. Wealthy countries such as the United States, Japan and Germany have long sent their plastic recyclables to China, and the country doesn’t want to be the world’s dumping ground for plastic anymore. The study found China has taken more than 116 million tons of the material since 1992, the equivalent of the weight of more than 300 Empire State Buildings. The change is forcing countries to rethink how they deal with plastic waste. They need to be more selective about what they choose to recycle, and more fastidious about reusing plastics, said Amy Brooks, first author on the study and a doctoral student in engineering at the University of Georgia. In the meantime, Brooks said, more plastic waste is likely to get incinerated or sent to landfills. The study was published Wednesday in the journal Science Advances. Using United Nations data, it found that China has dwarfed all other plastics importers, accounting for about 45 percent of the world’s plastic waste since 1992. The ban is part of a larger crackdown on foreign garbage, which is viewed as a threat to health and environment. Some countries that have seen an increase in plastic waste imports since China’s ban – such as Thailand, Vietnam and Malaysia – are already looking to enforce bans of their own because they are quickly becoming overburdened, Brooks said. The study illustrates that plastic, which has a wide array of uses and formulations, is more difficult to recycle than other materials, such as glass and aluminum, said Sherri Mason, who was not involved in the study and is the chair of the geology and environmental sciences department at the State University of New York at Fredonia. Many consumers attempt to recycle plastic products that can’t ultimately be recycled, Mason said. One solution could be to simplify the variety of plastics used to make products, she said. The plastics import ban has attracted the attention of the U.S. recycling industry. 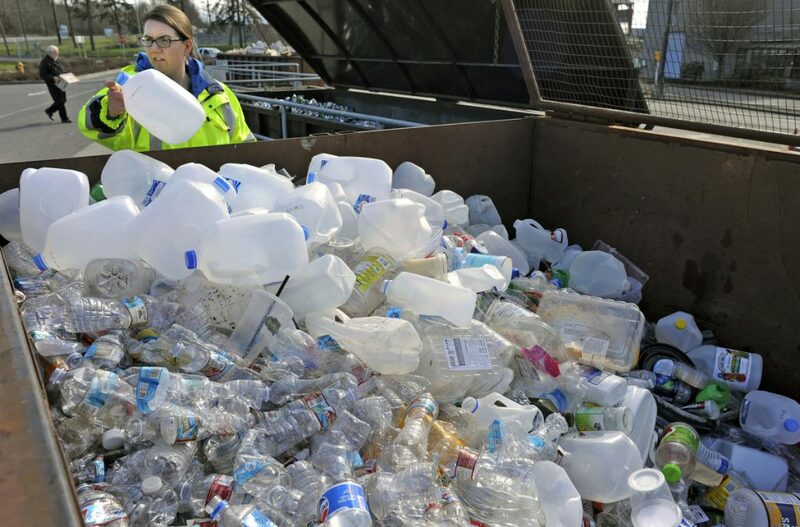 The National Recycling Coalition said in a statement in mid-May that it must “fundamentally shift how we speak to the public” and “how we collect and process” recyclables.